you "buyer's representation" for properties listed by agents outside the area. Stay updated and make sure to check here for the newest properties in the area. These properties have been marked to their lowest prices ever. Don't miss out. With acres upon acres, the sky is the limit with these available raw land parcels. Are you interested in buying or selling a home in Pacific or Wahkiakum County? You need a realtor you can trust by your side to offer local insight and help you get a great deal. 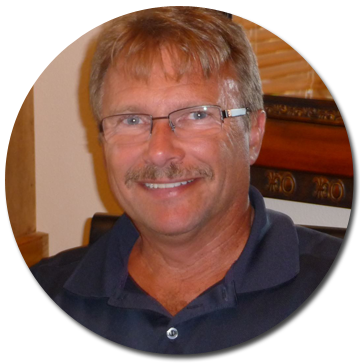 Mike Swanson Realty specializes in listing Grays River real estate and homes for sale in and around Naselle, WA and has been providing assistance to home buyers and sellers for more than 20 years now. We can provide you with all of the information you will need to buy or sell a home, and when you work with us, you can be confident in the fact that you will walk away with an excellent deal. Mike Swanson, a lifelong Naselle, WA resident, started laying down the initial groundwork for his business more than 20 years ago. His goal was to provide those in Pacific or Wahkiakum County with the experience and knowledge they need to conduct real estate transactions. At Mike Swanson Realty, we continue to carry that mission forward by providing people with real estate services they can trust. From listing homes on the market to serving a “buyer’s representation” during transactions involving real estate agents located outside the area, we can be your one-stop-shop for all your real estate needs. We do more than just list Grays River real estate and homes for sale; we help people make smart decisions and wise investments when it comes to buying and selling homes, timberland, small acreage, and commercial properties. If you are currently looking to do a real estate deal in Naselle, WA at some point in the near future, you should give Mike Swanson Realty a call to hear more about how our services and experience can benefit you. Outside of providing you with many of the services that typical real estate agents would provide, we also know the ins and outs of the are and can bring our expertise to the table. We can help you make the right move, regardless of what kind of real estate transaction you are planning to pursue. You will love your customer service experience with us, and we can’t wait to get you started. To begin your home buying or selling process, call Mike Swanson Realty at 360-484-3388 today.